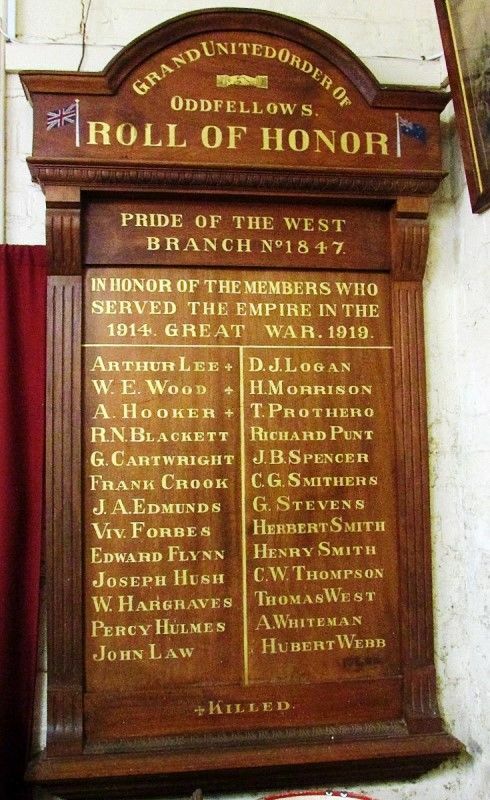 The wooden honour roll commemorates members of the "Pride of the West Branch" who served in World War One. 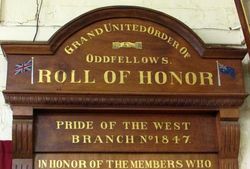 Grand United Order Of Oddfellows. 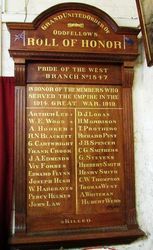 Pride of the West Branch No 1847.